No sign of Professor Hinkle here! 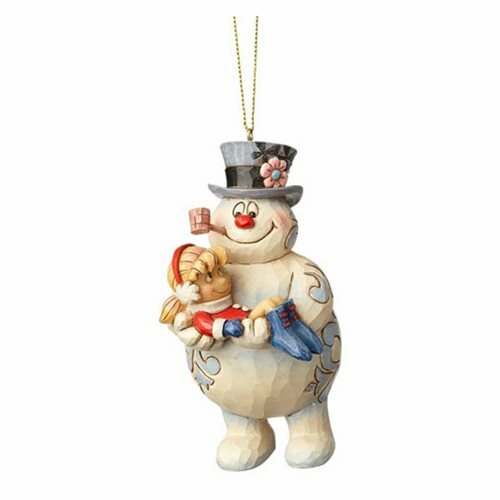 From the very talented Jim Shore, this heartwarming Frosty the Snowman by Jim Shore Frosty Holding Karen Ornament will take you back to the 1969 animated Christmas television special Frosty the Snowman. Made of stone resin, it measures 4 1/2-inches tall x 2 3/10-inches wide x 2 1/2-inches long.